Jane Whitehead has been interested in archaeology ever since she was a child. She pursued her dreams, and has led a brilliant career in the field of excavation, archaeological research, and education for more than 35 years. Notably, since 2004, she has been the director of the archaeological excavation of the Roman baths at Carsulae, Italy. The Roman baths have been exposed since its original excavation in 1950, but Dr. Whitehouse and her team hope to delve deeper into the plan and function of the site. Prior to this ongoing project, Dr. Whitehead was the director of the archaeological excavation of an Etruscan settlement in La Piana, Italy, from 1982 to 2002. The Etruscans were a powerful and wealthy civilization of ancient Italy recognized for their contributions to the growth of Western civilization. Dr. Whitehouse founded two publications on the subject: “Etruscan Studies,” the official journal of the Etruscan Foundation, and “Etruscan News,” for which she continues to serve as editor-in-chief. She has also garnered experience as a professor of Latin and French at Valdosta State University. ​Dr. Whitehead prepared for her endeavors by earning a Bachelor of Arts from Wellesley College in 1966 and a Master of Arts in Latin from Trinity College in 1970. 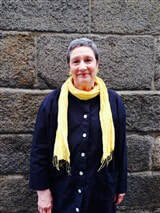 She went on to earn a PhD in classical languages from Yale University in 1984 and to become certified as a teacher of grades K-12 in Connecticut. To keep up with developments in her field, Dr. Whitehead maintains affiliation with the Explorers Club, the U.S. Section of the Instituto di Studi Etruschi ed Italici, and the Heritage Club. She is also a member of the Phi Kappa Phi Honor Society. As a testament to her accomplishments, Dr. Whitehead received an excellence award for professional achievement from Valdosa State University in 2008, a Merrill Presidential Scholar Teaching Award from Cornell University in 1994, and a Fulbright Scholarship in Italy from 1979 to 1980. She was also honored to be recognized in numerous editions of Who’s Who in America and Who’s Who of American Women. In her spare time, Dr. Whitehead enjoys singing and traveling. She intends to continue providing top-of-the-line archaeological services while taking on new projects as they arise.